I realize a lot of people won't get this and that's OK... This mostly a 'bench racing' discussion.... I love the idea, just want to write it down. I have enough projects right now. I've had a compact car as a daily driver for many years, mostly due to the fact that I've traveled around the country for work and needed something efficient & reliable. My car of choice for a long time has been a VW Jetta, have owned a few with TDI diesel engines and the current DD is a '14 Jetta with a 1.8T gas engine. IMO they're good cars, but a little small. A couple years ago I was rear-ended in my '03 while sitting at a red light. The car was totaled and my shoulder was injured in the accident. Recently I was almost hit at a round-about by a large SUV when the driver failed to yield when I had the right of way. There have been other close calls.... people don't mind pulling out in front of a smaller car versus something larger. So here's what I'm thinking... I'd like to have something that had beefy steel bumpers front & rear, heavy-duty rock sliders down the side, etc.... if someone wants to play bumper cars with me, I'd like to have the advantage. I understand the whole crumple-zone thing, but I'm thinking low-speed collisions and giving people a good reason not to pull out in front of me. Being in Colorado, I like the idea of having something with 4WD. My garage that I park in isn't big, the door is only 7' wide.... the Jetta is a tight fit already, so fitting in the garage is a limiting factor. I like VW TDI engines, they last a LONG time, get amazing MPG and are tiny. I don't plan to go back to driving around the country for work, but still want something that's efficient on fuel. I do need to occasionally drive my personal vehicle up to 500+ miles per week, so that's a big part of this. Most of the driving I do is on the freeway, so something a little longer would help with stability at freeway speeds. I *think* an S10 would fit in the 7' wide garage door, they're 68" wide excluding mirrors. I'm thinking that a late 90's to early 2000's Chevy S10 with an extended cab, 4WD and a manual transmission would be a good start. Set it up with a little lift and 31" tires, like the ZR2 optioned trucks. Beefy bumpers as mentioned.... and then swap a built-up VW TDI engine into it. With aftermarket injectors, a larger turbo and a tune the TDI is capable of making 300 ft/lbs of torque at low RPM. Even with a S10 weighing around 1000#'s more than a Jetta, I think combined with the manual transmission it should be capable of 35+ MPG. Swapping the TDI is the hard and expensive part, they're small though and have been swapped into all kinds of other vehicles. Used TDI engines with decent miles are priced around $1000. A Malone tune costs around $500. Aftermarket injectors and a good turbo won't be cheap... $1500+ or so. You'd still need misc parts, clutch, intercooler, etc, etc. Obviously not a cheap or easy swap, but the final product would get similar or better MPG as my current '14 Jetta and operating costs will be similar, as I need to run 91 octane. With a 15 gallon tank and 35 MPG, it should be possible to get 500 miles per tank. I'd love to add a slip tank in the bed for even more range. Anyway.... that's on my mind today. That would be a pretty rad little truck. My brother used to have a 94 sonoma that he got for $750. It was an ugly pile....but it was dirt cheap and 4wd. A TDI conversion on that truck would still be waaaaay cheaper than that R2.8 Cummins that is gold plate or something. I've often thought it would be fun to get a small tacoma or s10 as a "fuel" economy car. Key ingredient being a manual trans. Turns out I kinda miss rowing through my gears since swapping an auto into my Jeep. I think it would be a neat little DD.... you can pick up those S10's for around $3k in decent condition. And if it runs good, the 4.3 Vortec is worth a reselling. 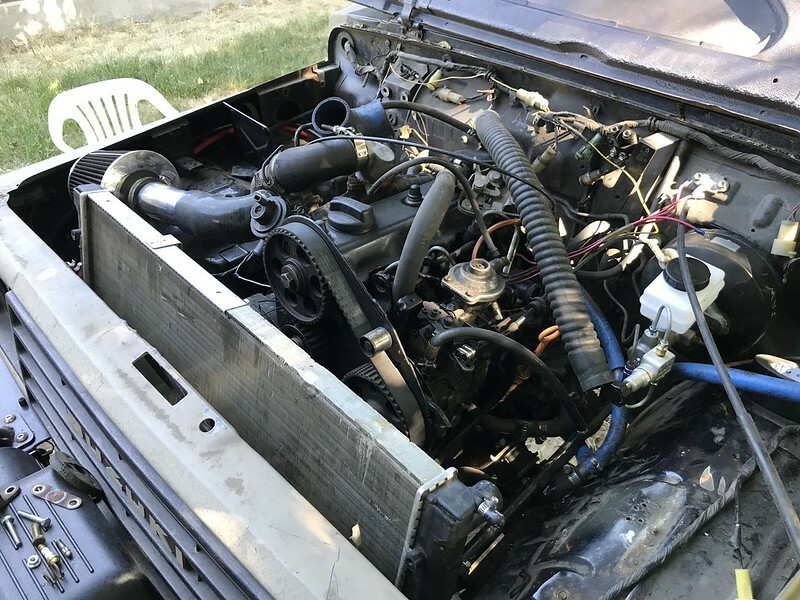 I just don't know how much additional effort it would be to get a German engine working properly in an American truck, that's my biggest hesitation. I'd want to retain heat, A/C, cruise control, etc... all the things that make a vehicle comfortable. I love the Cummins R2.8, but yeah.... they start at close to $9k! I realize you're getting a brand new Cummins engine and pretty much everything needed to swap it, but that's a lot of money up front! I like driving manual transmission vehicles... and I prefer the mileage that comes with a manual as well. What's crazy.... when you add up the numbers above to get a used TDI swapped in, you're looking at $4-5k. It may just be worth spending a little more for a new Cummins. I don't think the R2.8 will ever pull down 35 MPG in a 4x4, sounds like 30 MPG is more attainable. Still, that's not bad. The Cummins should have plenty of power to cruise at a low rpm in that truck. Research the sweet spot and gear the axles a touch on the high side. TDI swaps are the best. I've done two samurai TDI swaps. I've been looking to build a first gen chevy colorado with a 2.0 commonrail from like a 2010+ VW for my next build. If you don't feel like doing all the wiring, you can convert the 1996-1998 1Z/AHU, or 1998-2003 ALH engines to mechanical by swapping out the injection pump. I did that on my first samurai TDI swap. That was about 5 years ago, and I haven't had any issues yet. The pump I put in is a lot larger than stock, and I swapped in a bigger turbo and injectors, so it scoots. Excuse the mess, I just had the engine out again, and everything is all ripped apart. LS swap into the S10 for way cheaper and run it. I bet you'd get good mileage, cheaper/easier swap and only lose a few mpg? I'm glad you weighed in! What Mechanical pump are you running, 4BT? I've thought about a mechanical TDI before, I'd love to swap one into my Willys. It does seem like keeping the engine electronically controlled and with a VNT turbo allows for more power, as things seem to run close to peak efficiency? Regardless, a mechanical TDI would save a lot of money and headache when it comes to wiring, tuning & ECU's! Any estimates what kind of torque you're making? Is that an ALH? So 32 MPG with an LS? I think 22-23 might be possible? Have you priced one? Not in my budget for a 'beater' daily driver.... or anything else, for that matter! I bet a 4.8 with a manual could do that, but not worth the effort IMO. I was reading a thread earlier today where a guy stuck a VW TDI in a Ford Ranger (2WD, regular cab, manual transmission) and was consistently pulling down 38-39 MPG. 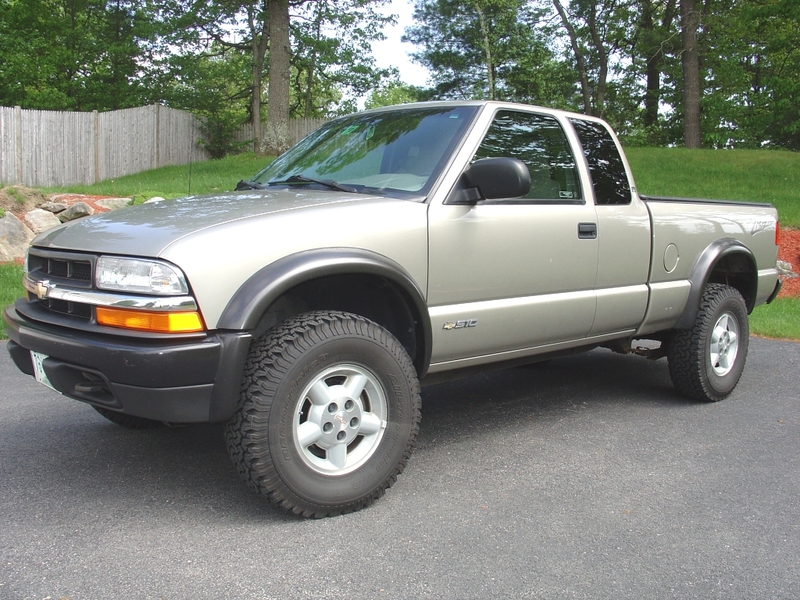 I think a slightly heavier 4WD S10 could honestly pull down 35 MPG. That is incredible! 45 MPG!! There's a Facebook group for TDI swapped trucks and some of those guys are making serious power with compound turbo setups. A bigger truck engine bay leaves a bunch more room for big turbos. Any idea what the group is called? I've often wondered about compound turbos on a TDI, it seems like getting enough fuel isnt an issue, there's definitely room for more air. I went ahead and messaged the owner, just out of curiosity and to ask a few questions. It has an AHU code engine, which is an older engine without a VNT (variable vane) turbo. Its stock, no mods and tops out at 65 MPH as is. I wish it were an ALH with a VNT, I think that would be a better start. It's not mechanically injected, still running an ECU. You could toss on a bigger turbo, some larger injectors and a hot tune to get more power, but for me and my money, I'd build something similar, yet different. If it weren't priced as high as it is, it would be worth picking up and swapping in a different ALH engine with mods. But at that price point, to me it doesn't make sense financially. There's a guy on thecj2apage.com that put a tdi into his flat fender. He made all the adapters himself. Pretty neat little VWillys. Might get some ideas from his build. It's an AHU with a 12mm 2.8 LT pump. The beauty of it, was it was almost direct bolt on. All I had to do was modify the rear bracket that bolts to the block. This pump is fairly rare in the states, the US never had them. There is a guy that sells them brand new for around $2800 online. I actually bought mine used from a guy in Scotland. You can run a 4bt pump with mods, but it's a bit of a PITA. You can run a landrover TDI pump as well, on an AHU, you'll have to run a special machined pulley. Or you can directly bolt it onto an ALH. The AHU's all had fixed vane turbos from the factory, so it's not an issue, but I have known guys with mechanical ALH's that built custom boost actuated vane controllers. That's the one. There's also lots of good info regarding wiring and adapters in the group sticky. Regarding the AHU, it is basically the same engine as ALH and it can be upgraded to a VNT turbo with a tune. However, the ECU tuning is not as convenient as the 2000 and up(needs a chip swapped in the ECU rather than just a reflash). I think a VNT17 with appropriate nozzles and tune would really wake that little AHU Toyota up.